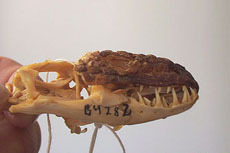 Gila Monsters deliver their venom by a firm bite and chewing movements with their jaws into the wound. 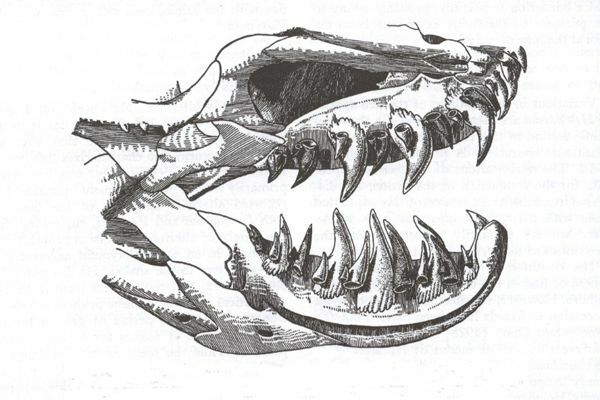 The third to the sixth pair of dentaries (counted from the back) of the lower jaw are equipped with deep grooves and specially shaped teeth to assist in the best penetration and delivery of venom. 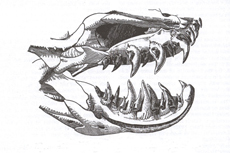 Three to four pairs of venom glands in a series are placed on each side of the lower jaw. This supplies the grooves with venom through small drain ducts, which exit next to the grooved teeth. 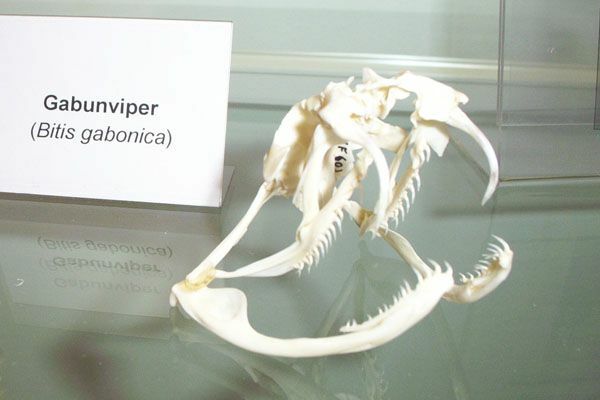 The venom produces considerable pain and metabolic disorders. The potency of the Heloderma venom is believed to be similar to the venom of the Western Diamond Rattlesnake (Crotalus atrox) (Ref. 4). Serotonin Neurotransmitter mediates inflammation and vasodilation, effects on smooth muscle activity. Gilatoxin Glycoprotein, a Kallikrein-like lethal toxin, lowers blood pressure and has influence on muscle tone. Helodermatine Glycoprotein, enzyme, reduces dose dependent arterial blood pressure. EXENATIDE Is manufactured now synthetically in large quantities. It serves the treatment of diabetes-type-II (adult-onset diabetes). Type-II-patients have difficulty to adjust to physiological glucose levels. EXENATIDE acts with a different mechanism on the insulin output of the pancreas. This makes type-II-patients accessible to therapy. For extensive information about Heloderma venom read Dr. D. D. Beck (Ref. 1). For more Information about the Biochemistry of Helodermatid Venom.